Farmers shot them. Researchers study them. I simply adore them. 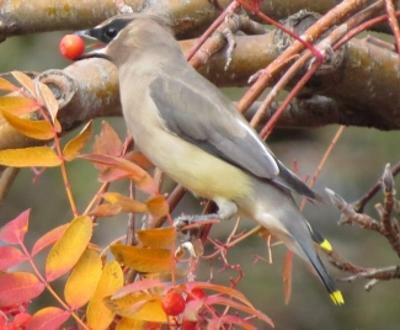 Cedar Waxwings have a storied history. In the early 1900’s, farmers called them “cherry birds” as they inundated orchards and devoured crops. Operation eradication ensued. Fortunately, Cedar Waxwings had a flock of defenders in the wings--The American Ornithologists’ Union worked to educate the public on bird conservation—so we are able to enjoy the company of this beauty today. With Thanksgiving upon us, who doesn’t love that sentiment? Also, if you are curious as to the origin of their name—the cedar is a reference to their fondness for cedar berries (in our neck of the woods, Juniper) and the waxwing is a nod to the red tips on the secondary feather tips of mature birds. The function of these tips has been long debated, once believed to be a protection of wing tips, but now thought to play a role in mate attraction. 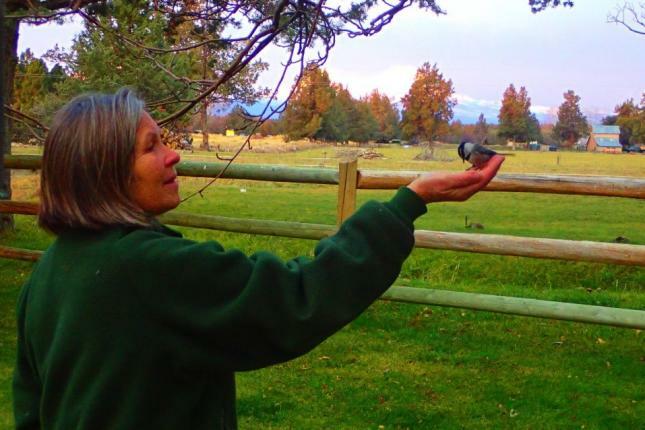 You can learn more and see some great photos of these sweet little birds by clicking here.